Pat Fallon is without question The Irish Magician with an International Reputation. He is Ireland’s only member of the Inner Magic Circle with a Gold Star and a recipient of the Merlin Award for his family magic theatre show Rabbits Hats & Big Boxes. 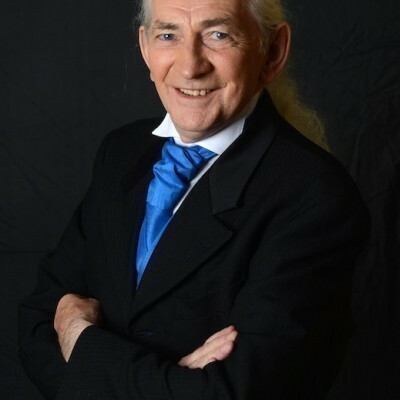 With over one hundred television appearances and number of international tours to his credit, Pat Fallon is undoubtedly the most successful all-round magician on the Irish entertainment scene. With over thirty years experience entertaining children of all ages he has amassed a large repertoire of engaging routines which are always tailored to suit the age group in question. The arrival of high tech toys, video games, bouncy castles and adventure play centres has done nothing to dampen the enthusiasm of the younger generation for quality magical entertainment. Despite all the special effects that movie makers come up with, they fade into oblivion when a group of children are transported into the wonderful world of magic during one of Pat's live performances in the privacy of your own home. For school shows, festivals, corporate family fun days and resident associations events Pat also offers a fun packed 40 minute show which includes a public address system whenever necessary. Pat Fallon also presents a 90 minute magic and illusion theatre show entitled ‘No Camera Tricks’ which is ideal for arts festivals, school shows, award ceremonies and indoor corporate family events. Please contact PartyWizz for further details and pricing information on this show. "Left us baffled! Great magician." "Many thanks for another wonderful performance; you’re always a big hit in our house. " "Thank you so much for today’s performance and fantastic to see the next generation of McAnallys enjoying your work. The kids are raving about the show and Louise has had a flood of texts from parents saying they all loved it. Thanks again for making the day so great. " "Pat was a great hit with the Kids. They all enjoyed the performance very much." "Pat entertained my kids when they were growing up and now he is entertaining their kids with his great magic. Pat performed another brilliant show at my grandson Patrick’s communion party." "Pat performed at Toby’s communion party yesterday, it was terrific fun. I am still a bit gob smacked as to magic he was able to perform. I think we will be seeing him again."